When you enroll for an online graduate program, you’re never alone. From the moment you first inquire, you will be connected with a support team member, reachable by phone and email, who can help identify the program that fits your background and interests, answer your questions, and guide you through the application and registration process. And if you’re in the area and wish to meet with our team in person, just let us know. After you start your program, our team will continue to check in and serve as your dedicated resource for navigating campus from abroad—from helping you register for courses to ensuring you are on track to meeting graduation requirements. Our goal is to take care of the logistics so that you can concentrate on your program. 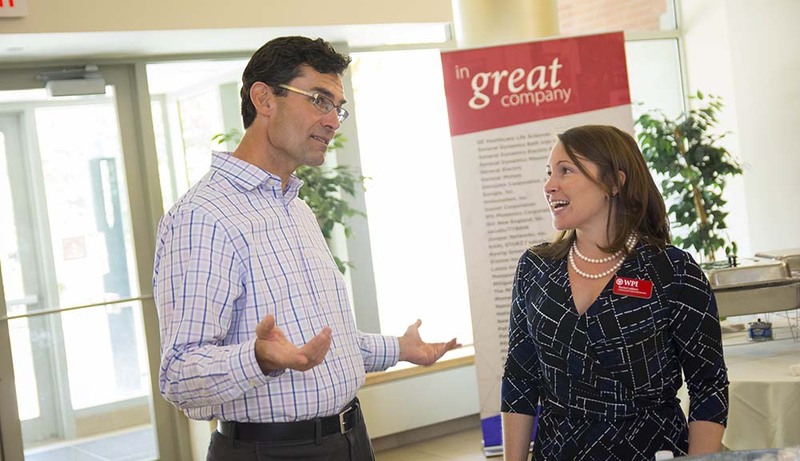 We’ll also provide opportunities for you to connect with services and people on campus and in the wider WPI community—network with students from around the world in our online community, make an in-person/Skype/telephone appointment with a staff member from WPI’s Career Development Center through Handshake, or travel to campus to attend your graduation ceremony. Register for a graduate course by completing an initial registration form, which creates your student record, provides us with preliminary information (including key information about your background), and lets us know to save you a spot. The semester begins in September, January and May; refer to the Academic Calendar and Course Schedules for semester dates and individual course dates. Once we receive your registration information, we'll be in touch about next steps. The online student orientation videos will help you setup your computer accounts, determine your computer requirements, locate information on textbooks, billing, and grades. You will also gain insight into preparing for your first course, navigating course selection in Banner, and other helpful tips and resources to make your time as a student with WPI successful. We know the idea of going back to school can be overwhelming—especially for those who are new to the WPI community—and our goal is to make the transition as smooth and easy as possible. As a new student you will be assigned a Student Success Team member as soon as you decide to start an online program. We’ll remain with you throughout the duration of your program and work closely with you to ensure you are provided with all the information and tools needed for your program. New students should plan to register at least one week prior to the start of the semester to establish computer accounts and take care of other necessary details. Welcome back! Here are some resources that help you get ready for the next semester, answer questions that may come up during your time here at WPI, and provide additional services that are available to online students. If you have a problem, or when in doubt, contact your Student Success Team Member. Choose your courses: Online courses are offered in the fall, spring and summer. Make sure to review what is being offered and register in a timely manner. Learn more. Connect your accounts: All students are expected to maintain and check their WPI email account; so make sure to connect yours today. If you have taken two or more semesters off, you need to reactivate your account, which requires that you complete the Graduate Readmission Form, and send it to your Student Success Team Member. Connect with us on Twitter, Facebook, LinkedIn, Facebook Group, or browse our blog working professionals and engineers, Catalyst. Master’s and PhD candidates must submit the WPI Graduate Student Application for Graduation form (PDF), and graduate certificate candidates should submit the Graduate Certificate and Advanced Certificate Program Plan of Study (PDF), to their Student Success Team Member for processing. You should plan to complete your application during the first few weeks of your final course. Applications for graduation are available three times a year.